Designing with ARM processors requires an understanding of the architecture, the operating system, the drivers and BSP, power management and optimization techniques, as well as hardware design issues such as bus protocols, interconnect, security and coherency. 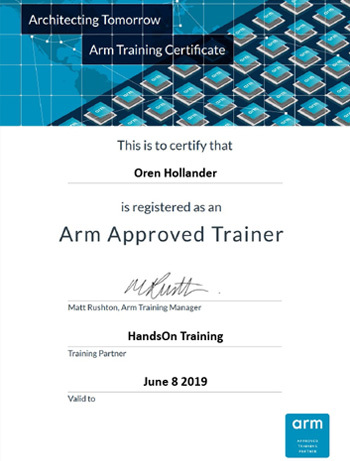 HandsOn-Training is ARM Approved Training Center and can train anywhere around the world. Our training cut your time to market by providing you all the know how plus tips & hints of how to design your product in the most efficient way (performance vs power consumption vs area). We provide also consultancy and project services when required. We train the major silicon vendors! 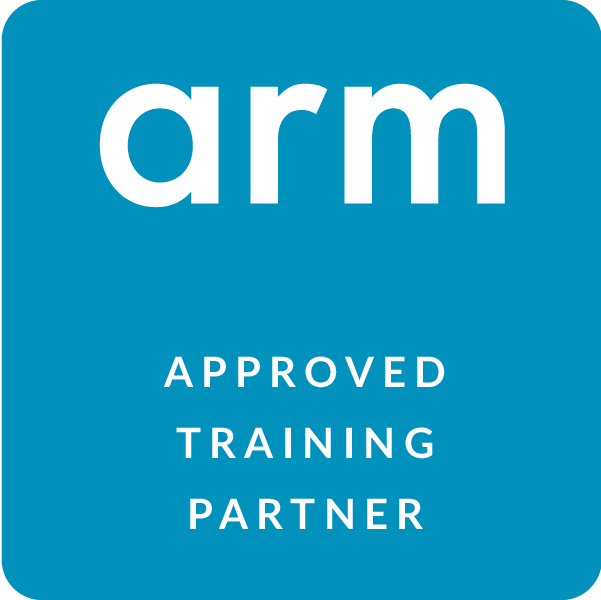 All of our trainers have an official approved instructor certification from ARM, which enable them to train every ARM official course. Course participants receive ARM official certification at the end of the course. In addition, HandsOnTraining is an official Intel, NXP and ST Microelectronics training partner. 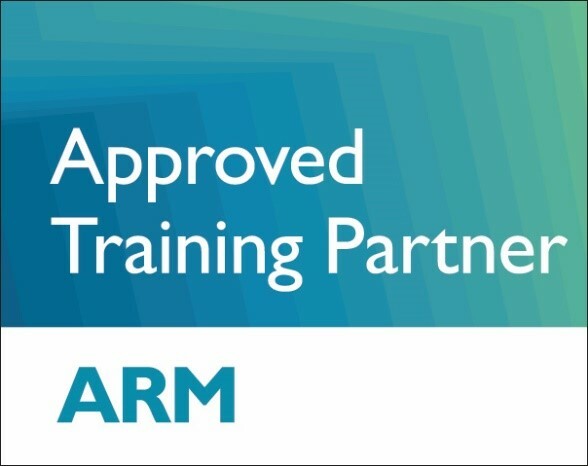 The tight relationships between HandsOn-Training and the semiconductor vendors enable engineers to become specialized in the newest ARM architecture and/or device based on ARM core in the market. Courses content are based on many years of experience, project design, market tendency and requirements, technological progress, complexity of ARM multi-core solutions and demand for high-speed and low-power design.